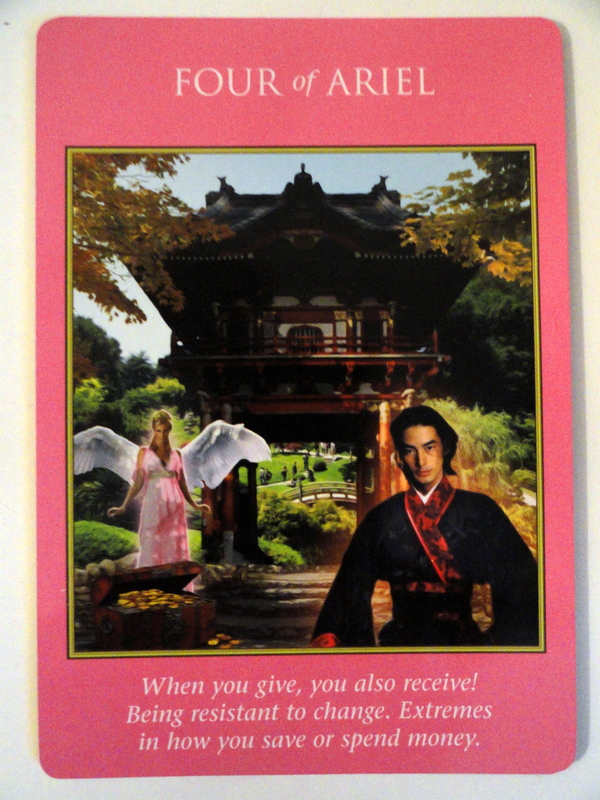 November 18, 2013 bcalvanocoachingLeave a Comment on Weekly Angel Oracle Card Reading for November 18 through 24. 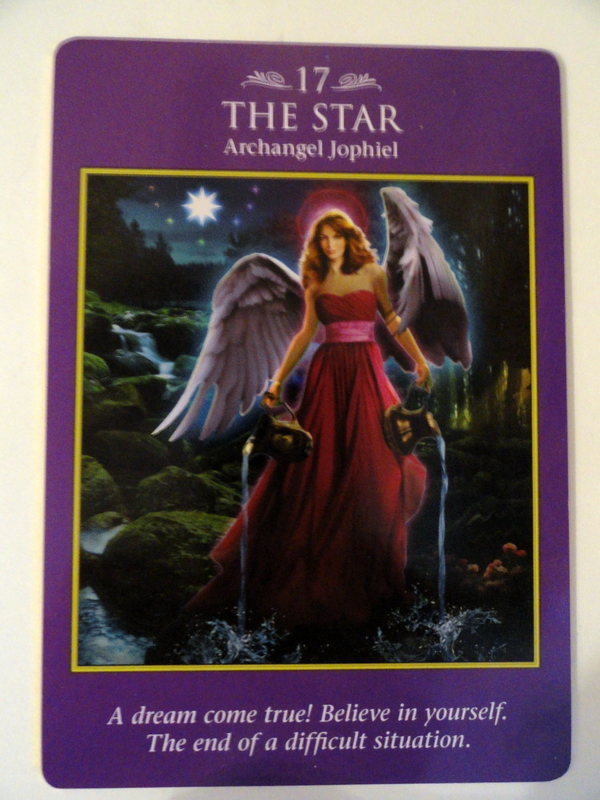 Weekly Angel Oracle Card Reading for November 18 through 24. Weekly Angel Oracle Card Reading for November 18 through 24 with the ARCHANGEL POWER TAROT CARDS Deck by Doreen Virtue and Radleigh Valentine. To listen to it from my show on BlogTalk Radio, Lets Ask the Angels, click here. The message here is to BELIEVE in yourself! Go ahead and follow your intuition and allow that dream to come true. It is a time of renewed faith and sense of purpose! If you have been faced with frustrations and obstacles you can relax. This bright star is the one you can place your wish upon and know that it is heard by the angels! Archangel Jophiel assists us in seeing just how beautiful and magical this present moment is. Allow yourself to be truly filled with inspiration and go ahead make those long term plans. The message here is that you will be successful! Archangel Jophiel’s name means “The beauty of God”. She supports us in beautifying any challenging situation with our thoughts. We can also share with her our gratitude of joy to anchor that vibration of positive energy in our hearts. This is a perfect message to follow the previous. Here we have the message that, yes, we have the angels at our side to be successful with our projects! Even if we can’t see all the resources, they ARE there! This is a moment that you have prepared all your life for (even lifetimes)! YOU are equipped with the skill and knowledge to go forward! Full speed ahead, the road is safe and secure! With Archanegl Raziel besides us pure magic abounds! There may suddenly be an abundance of resources suddenly available either financially or emotionally as guidance and support from others. Anything is possible! AND we have to demonstrate to ourselves and the Universe, that we have no doubts as to our coming success by taking that next right action or step! So, NO DOUBTS! It is the time to creatively manifest with focused action and take the initiative! How exciting! 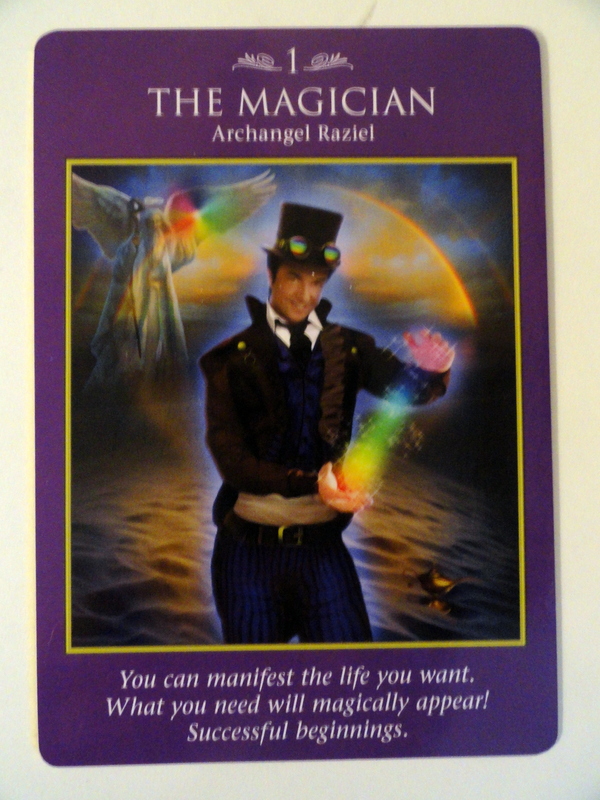 Raziel is a magical archangel who can guide you in conjuring the life you dream of living! This wizard like angel sits near the throne of God and and is privy to all the holy secrets necessary to help you manifest wondrous and amazing opportunities for yourself. What wish are you trying to make come true? Ask Archanagel Raziel for assistance when you need resources of any kind to facilitate what you’re trying to create. All the positive messages and energy from the beginning of the week may cause for some of us, our egos to get suspicious and put on the breaks! This message is perfect as it relates to the previous two. We’re told of our magical abundance and wishes coming true and yet our egos may very easily be, yes, resistant to allow and change for the better. It’s human nature to resist and go into fear based thoughts instead of having faith. ThIs message isn’t just about money and finances, but can also be about expenditures of energy and emotion. Don’t let your fear based thoughts limit you in taking actions! Go ahead and share whatever talents and gifts you have with those around you. Look at any control issues you may have. See if you are indeed holding on to the present and resisting change. Call upon your angels to assist you in releasing and cutting cords of any lower emotions! This week is about your wishes coming true, having utmost faith, believing in yourself, and taking focused courageous and confident actions. Let go of any resistance to having it all! Call upon your angels to support you! To book an appointment with for a personal reading contact me at bcalvano-coaching@usa.net. For more information about me and my services see my website http://www.bcalvanocoaching.com. Stay in contact on Facebook at Bcalvanocoaching or join my email list at my website.